In this final book, we’re in Lara Jean’s senior year. There’s so much to do; picking a college, prom, and figuring out how to deal with a boyfriend through all of it. It’s something I wish I read going into college, but it was a fun way to look back on that time. While I don’t want to go into spoiler territory, I want to make it clear that this is such a necessary book. If you know a young lady, especially one in 8th through 10th grades, you should get these books for her. There is so much good in this series, and especially this final book. There’s plenty of rejection and frustration, working through difficult times, and working to rely on friends and family. 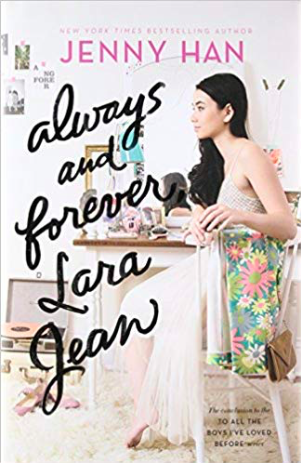 I just really loved reading about Lara Jean, and I hope you get a chance to read her story. It’s fun and sappy, and it’s absolutely perfect.